This afternoon at GDC 2019, Google Stadia boss Phil Harrison announced the tech company’s plans to launch a game streaming service that will stream high-end games in a Chrome browser. But how good, exactly, does your internet have to be in order for Stadia to work? 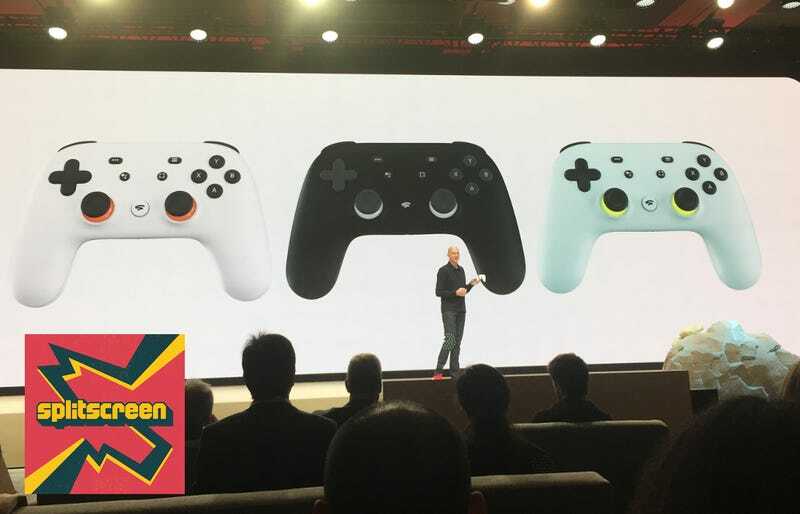 And do you need one of Google’s new Stadia controllers? Jason and I sat down with Phil for an interview on Kotaku Splitscreen where he answered some of our questions and dodged a few others. What hardware do you need to get Stadia on your TV? “Chromecast is the way that you reach TV at launch.” And, by the way, an Xbox controller won’t do the trick: “In order to reach our Chromecast, you need the Stadia controller.” You can use whatever USB controller you want on PC, though. Is that summer announcement going to be at E3? “In the summer.” Well, okay then! We also asked Phil Harrison about the hands-off attitude that Google has taken with YouTube moderation and whether Stadia will be different (it will, supposedly), and also, what the name “Stadia” even means. In the second half of this week’s podcast, we interview Sarah Elmaleh, the voice actor behind the female protagonist of BioWare’s Anthem. For more, listen to the entire episode. As always, you can subscribe to us on Apple Podcasts and Google Play to get every episode as it happens. Leave us a review if you like what you hear, and reach us at splitscreen@kotaku.com with any and all questions, requests, and suggestions.